• Driive via N1, Worcester through the beautiful Breederiver Valley. • Visit a famous brandy cellar with brandy tasting. Overnight in the Robertson area on a wine farm. • Drive via the scenic R62 through the quaint town of Montagu and Barrydale. • We cross the spectacular Tradouws Pass towards the N2 and to Mossel Bay. • Visit the Diaz Museum Complex where you can view a replica of the caravel with which Bartholomew Diaz sailed around the Cape of Good Hope in 1487. • The complex is also the famous for the Post Office Tree and the Shell Museum. • In the afternoon we have time for a game drive at a game reserve in the area. • We depart and drive via the old Montagu Pass to Oudtshoorn which is the capital of the Klein Karoo and the Ostrich Industry. 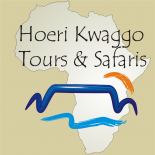 • During the afternoon we do a bush safari or visit an ostrich farm and the Cango Caves. • We depart for the awesome Swartberg Pass, which was built by the famous pass builder Thomas Bain who used the dry stone method in building the retaining walls. The famous writer and traveler Lawrence Green rated this pass as the most impressive second to the Darjeeling in Tibet. • We arrive in Prince Albert and the Great Karoo, which is on the other side of the pass. A day filled with spectacular scenery through various vegetation regions. • Visit the largest telescope in Southern Africa (SALT) as well as other local sights. • From Sutherland we return to the NI and then continue to Touwsriver where we turn onto the R46 travelling via Hottentotskloof to Ceres and Tulbagh . • We continue on the R44 towards Porterville and Piketberg and then again on the R399 to Paternoster a quaint seaside town on the Atlantic Ocean. • From Paternoster we drive via Citrusdal to Clanwilliam where we visit the Ramskop Nature Reserve as well as the yearly flower exhibition on display in a little church in town. • We continue to the Northern Cederberg on the Doring River in the foothills of the Cederberg, a fantastic landscape of prehistoric rock formations, fossils (400 million years) and San (Bushman) rock art dating 1500 – 7000 years ago. • Relax with the opportunity to view some flowers and bushman paintings. • A wonderful spectacle of flowers will be on display on a scenic drive through the Biedouw Valley through the Namaqualand flower paradise which is one of the natural wonders of the world. • From Nieuwoudtville we drive to Van Rhynsdorp where we visit a magnificent succulent nursery. From there we drive via the N7 to Clanwilliam and then take the R303 into the most spectacular part of the Cedarberg where we overnight at a guest farm in the Southern Cederberg. • Nature walks (1½ – 6 hours), sunsets, starry skies. • We return to Cape Town via the Boland, to arrive in Cape Town over midday. • The last morning of the tour is optional to shopping and some last minute sightseeing before leaving for the airport.